At least half of all of our clients are investors looking for investment home loans and when you consider the fifteen thousand inquiries that we have dealt with over the past 12 years then you would think that we have heard them all, however almost every week someone comes up with a plan or strategy that has me scratching my head. We are mortgage brokers and not tax advisors and the following is anecdotal comment not to be constued as individual tax advice. 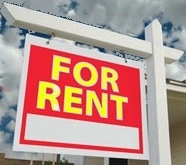 Renting out the PPOR (primary place of residence) ie: family home – there are very serious taxation implications in doing this. The most important thing is to identify that this may be an option right from the start ie: when you first arrange the finance for your family home there is a very specific strategy that must be put in place there and then. Failure to do so causes potential gearing issues that cannot be corrected and could result in costs of tens of thousands to rectify – get advice! Using equity in your PPOR to purchase an investment property – yes you can do than and people do it all the time and end up with deductible interest on their borrowing. However do not use redraw! The original home loan on your PPOR was for personal use and therefore the interest is not tax deductible – the tax office consider the purpose of the original borrowing when allowing or disallowing deductions.The investment borrowing secured by your PPOR should be a separate loan account created specifically for that purpose.Likewise think very carefully before using funds in your PPOR offset account as a deposit for an investment property. It just doesn’t make sense to use after-tax dollars to purchase something that should be deductible. You will usually be better off to reduce your PPOR loan balance by the offset amount and then re-borrow the funds (in a new investment home loan account) which are then deductible.Most lenders will allow that with existing loans however if you are looking to expand a portfolio it can be a good time to consider package options that offer you more flexibility. While many lenders offer investment loans and residential loans there are rarely any differences in rates or charges, although LVR limits can vary. You need to understand your investment strategy ie: are you looking for negative or positive gearing. It is not my intention to go into the strategies as that is the realm of a financial advisor – and spruikers who promote their books or investment plans. I urge you to be wary of the latter – do your homework but please do not be taken in by all of the claims that spruikers come out with. For every over-night property multi-millionaire there are hundred of thousands of investors who realise that it is unrealistic to expect things to happen quickly.If you have an aggressive accumulation strategy you need to take risks and lenders will quickly realise this and the easy approvals that you obtained early in your investment life, will vaporise. Lenders do not like risk takers. The recent commodity price downturn and possible end to the mining boom will result in many sleepless nights for borrowers who sought out high return property in mining towns. Those $600,000 homes could be worth $200,000 almost overnight – behind every boom there is a bust. Beware of property with very high returns – superficially they sound like a terrific investment, however high return usually reflects high risk, or restricted market and can make finance very difficult to find. Keep in mind that if you have trouble finding suitable finance then when it comes your turn to sell the prospective purchasers will likewise have difficulty and your potential sales market can be diminished.Traditionally regional areas offer higher returns mainly due to the lower cost base although this has been completely upturned in any mining affected areas. None the less the down side is that usually regional areas do not have the same potential for capital growth that cities enjoy.Other examples of high yield properties are – CBD high rise, studio apartments, hotel conversions, student accommodation, mining hot bed houses, serviced apartments, holiday rentals, over 50 developments, resort style units. Don’t expect lenders to get enthusiastic about these – they very often come with restrictive management contracts or planning restrictions which limit the uses. Lenders are only interested in funding property that can if necessary be sold to the general market, including investors and home buyers and sell in a quick time frame. Property with restrictions reduces the potential market and that will be reflected in the valuers assessment. So what do lenders like? Simple, they like normal everyday houses, multi-bedroom apartments in medium density developments (less than 30 units), town houses etc … in other words places where people can live and that can be easily sold to the entire market. Acreage can be ok but don’t expect a residential lender to accept 120 acres of olive grove … because that is a farm not a residence. Try and stay below 10 acres and with 10 km of a reasonable size town. Outside of these specifications you may be looking at LVR below 60% as a maximum. If your strategy is to gradually accumulate a portfolio of standard residential property using the growing equity to leverage additional property with an overall equity position of <80% then most lenders will be very happy to deal with you. 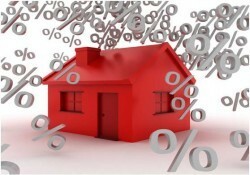 Some lenders limit the number of properties eg: ING limit is 5 and all lenders prefer no LMI involvement. Also keep in mind that there are only two insurers and they have master limits so if you are relying on them your ability to grow will eventually be capped by access to insurance. Find a mortgage broker that you can trust – my advice is that if you find a mortgage broker who will bend the rules for you then they might bend the rules against you… I have heard of mortgage brokers turning up at an auction and bidding against their own client. We are not that type of mortgage broker, we will play it straight and fair.